Tue., Feb. 27, 2018, 6:35 p.m.
MOSCOW, Idaho – Perrion Callandret, who missed long stretches of two seasons with injuries, had his University of Idaho basketball career cut short by another one. Callandret, a 6-foot-2 senior guard from Bothel, Washington, broke a kneecap in the second half of Idaho’s loss to Idaho State on Thursday. According to Vandals coach Don Verlin, Callandret was hurt on an innocuous play. Verlin said no decision has been made on whether Callandret will need surgery to repair his patella. The injury commonly takes 4-6 weeks to heal, according to Verlin. By then, time will almost certainly have run out on Callandret’s chance to return to play for the Vandals. 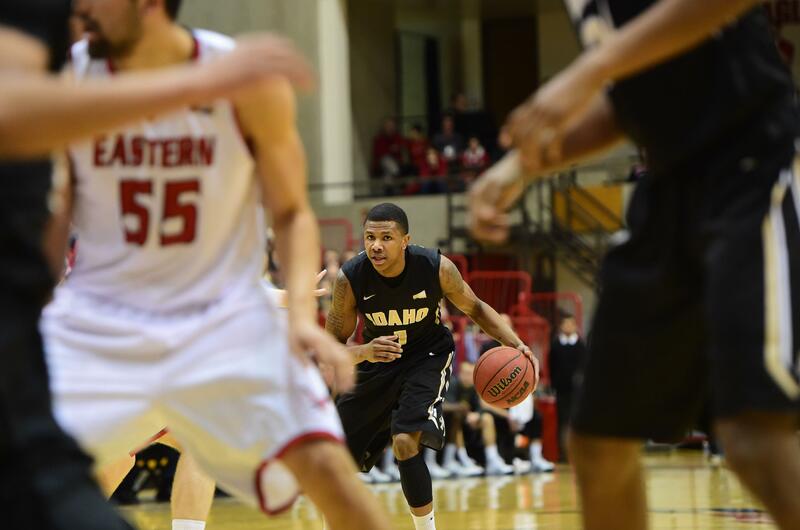 After Callandret was hurt, Idaho came back two nights later to defeat Weber State in Ogden, Utah. The Vandals finish their regular season at home with games against Northern Arizona on Thursday and Southern Utah on Saturday. Then they will point for the Big Sky Conference Tournament, Tuesday through March 10 in Reno, Nevada. In a Twitter post last Saturday, Callandret responded to a torrent of well wishes. Callandret was averaging 10.1 points and 3.5 rebounds a game this season. An imposing leaper, he also blocked eight shots. Statistically, his best season was his junior season when he averaged 14 points and four rebounds a game. Even then he missed nine games with a foot injury that continued to hamper him when he returned. He played two games the following season before being shut down with a knee injury. Coming back from that, it took Callandret two exhibitions and the first two games this year to shake off the rust from his long layoff. As a starter for 21 games and a sixth man, he returned to peak form. He had game highs this year of 23 points, eight rebounds, seven assists, two blocks and three steals. Callandret finishes his career with 900 points and ranks as Idaho’s 10th-leading 3-point shooter. “It’s a tough way to end his career,” Verlin said. Verlin said that with five years in Idaho’s program, Callandret has gained a wealth of basketball knowledge. His role with the Vandals will transition. Published: Feb. 27, 2018, 6:35 p.m.